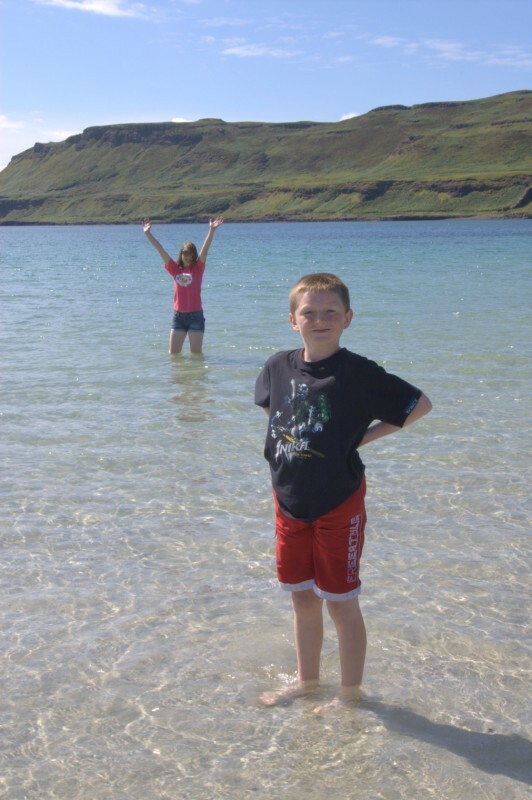 In 2007, we decided to visit Scotland, as (aside from a couple of business trips) none of us had ever been there. We rented Shore Cottage (through Cottages 4 You) right on the shore of Lochaline, a tiny group of houses by one of the ferries to the Isle of Mull. Sat : Flew with Ryanair from Bournemouth to Prestwick - Lovely and quite. About 3.5 hour drive to cottage. Went well, bit busy around Loch Lomond and the single track road for the last 16 miles or so was a real shock as it was shown as an A road on the map! Cottage a bit damp, but roomy and lived up to expectation (and more) in terms of location. Nowhere to eat - Housekeepers generously popped around with some milk, but we could only get crisps at the pub - although after 30 mins or so the landlord kindly rustled us up a bowl of chips which was kind and much appreciated. Sun : Rainy, so back down the long (but quite open) single track A-road, around the long way to Fort William and then (with Ben Nevis shrouded in cloud) onto Loch Ness. Arrived at Castle Urquhart in time for lunch and a couple of hours look around. Lots of chavy East Europeans rather spoilt the atmosphere, but the castle was interesting if rather too ruined to rate as a great. 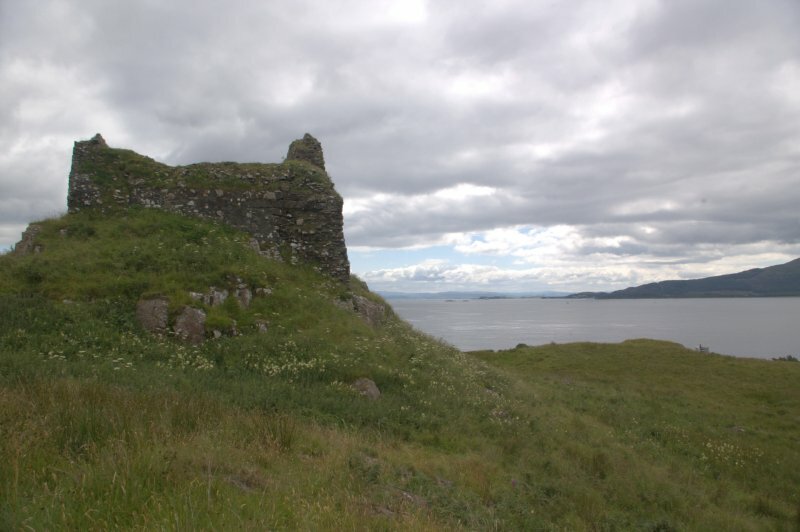 Mon: Stayed local for a rest, so walked, in sunshine up to the ruined castle we could see from our window. Lovely view, spotted Porpoises in the Sound Of Mull and then returned along rocky beach for a while. 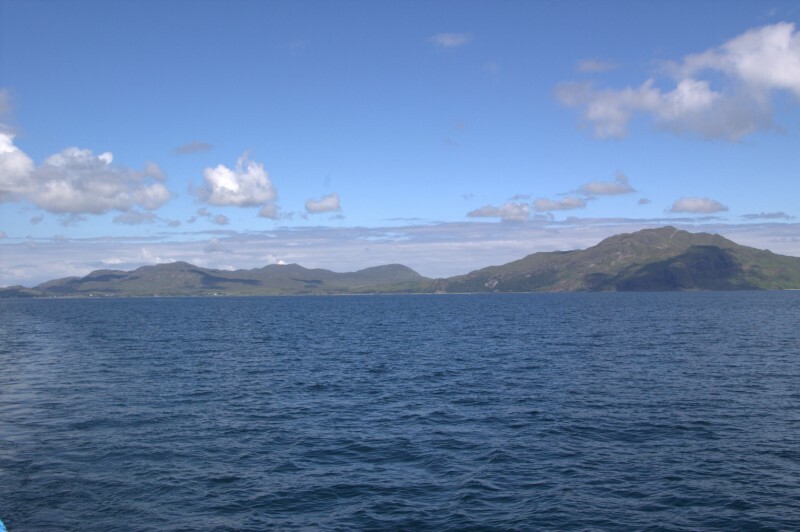 Tue: Off to Mull on the ferry - We had an appointment for a Wildlife Adventure boat trip. 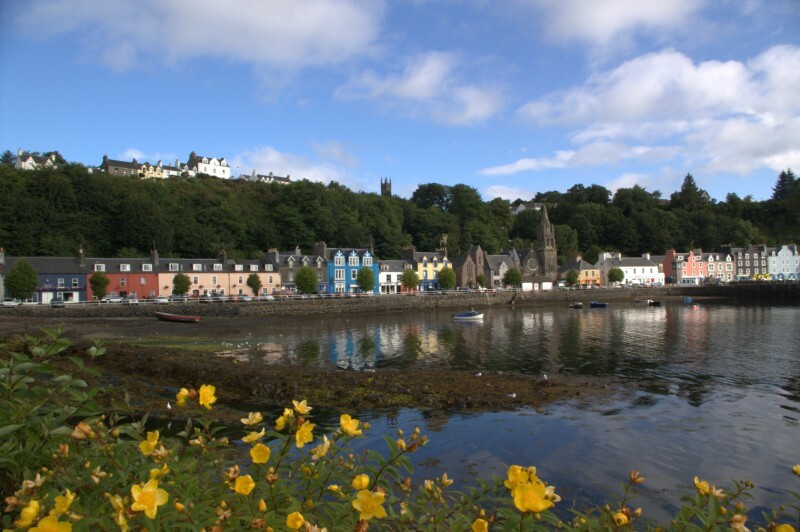 Weather was great, Tobermory picturesque, but we didn't see as much wildlife as we'd hoped (Dolphins were pretty much predicted as the norm and we saw none, whilst the promised Minkie Whale was nowhere to be found either. Saw some Porpoise, some Seals and a couple of Golden Eagles duelling talon to talon high over the hills, which was rather amazing. It was quite expensive for 4 of us and we didn't see the quantity or variety of animals we felt we were going to, but it was a lovely day to be out on a boat, so we didn't feel quite cheated. Drove up to Calgary (yet another single track A road), which is a glorious small bay. The sand is so white and the sea so clear that only a few palm trees were need to complete the illusion of being in the Caribbean - Even the sea was warm! Wed: Visited a local woodworking gallery and then we drove (along an incredibly twisty and narrow A-road) onto Ardnamurchan Natural History Centre, which was well intentioned, but a bit expensive and a bit light on animals to see (you need a lot of patience, it seems, to see the wide variety of wildlife Scotland has to offer). We did have a very pleasant lunch at the centre, though and they had some interesting exhibits and a rolling video show of some of the animals that visit their hides. From there we drove onto Castle Tioram (pronounced Cheerum, apparently) following a recommendation from the very friendly TI office man at Strontian. 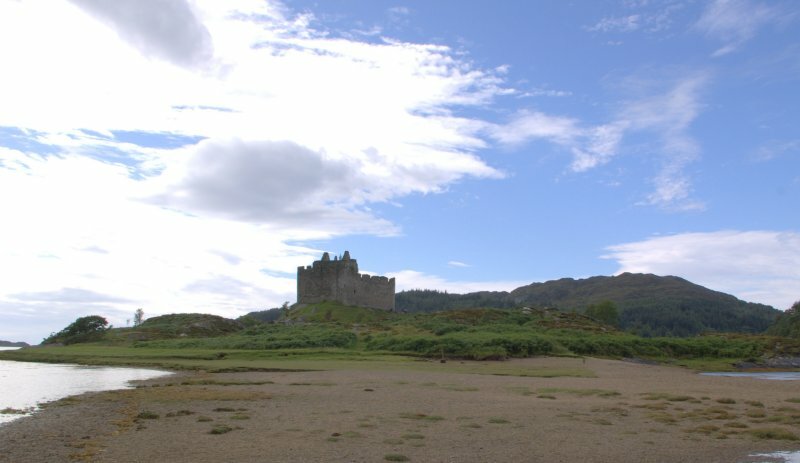 This castle was in a beautiful, unspoilt small bay, although it is crumbling rapidly into the sea, sadly. 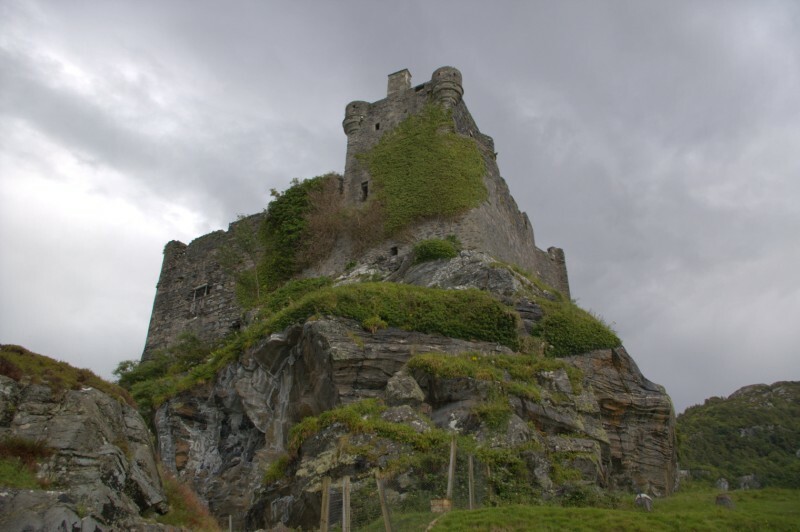 Wandered around for a bit, sheltered from a torrential rain storm in a ledge below the castle and then returned to our cottage. 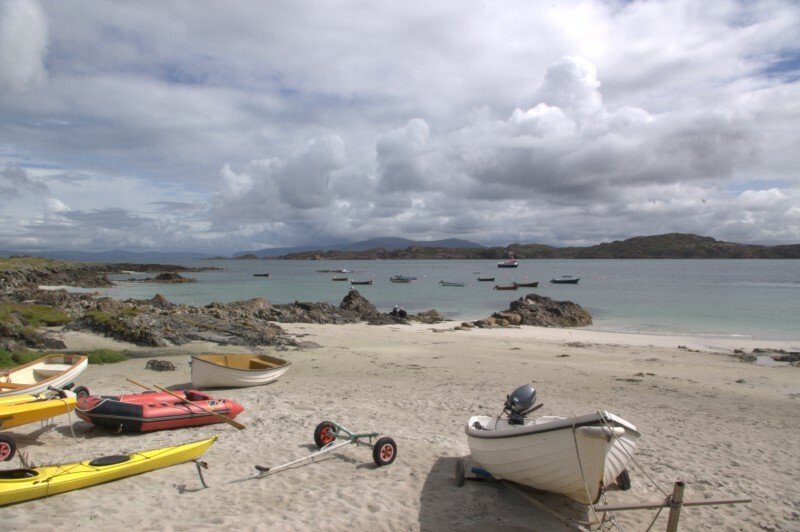 Thu: Back to Mull, driving along the South Coast, to pick up the second ferry over to the Isle of Iona. 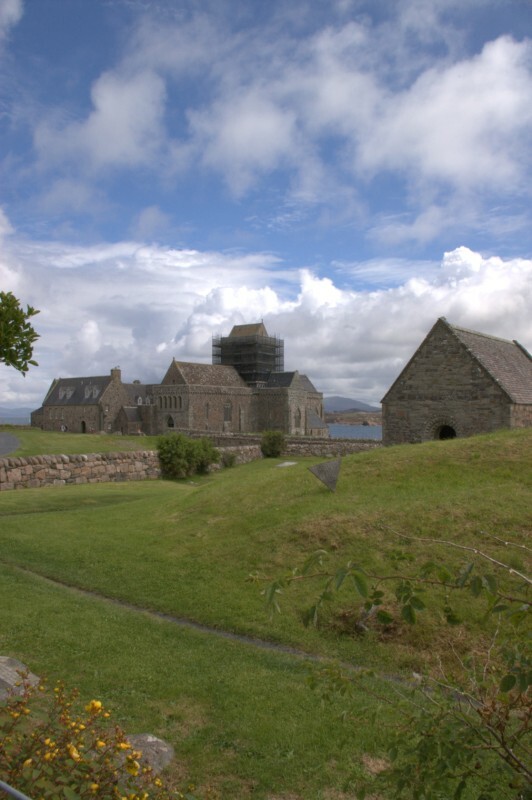 A tiny place with a famous abbey on it, which attracts tourists and pilgrims alike. After lunch and a climb to the highest point (not that high!) 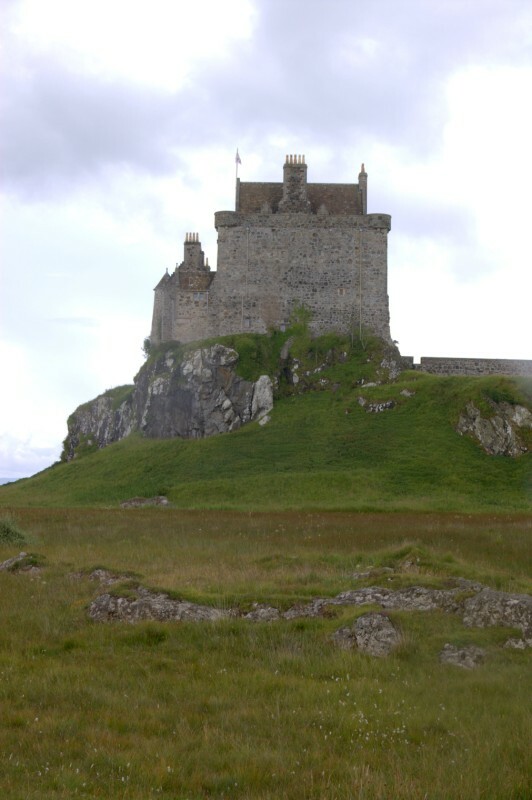 on the tiny island, we returned to Mull and stopped at Duart castle for an hour or so for a quick tour of the imposing and impressive castle. 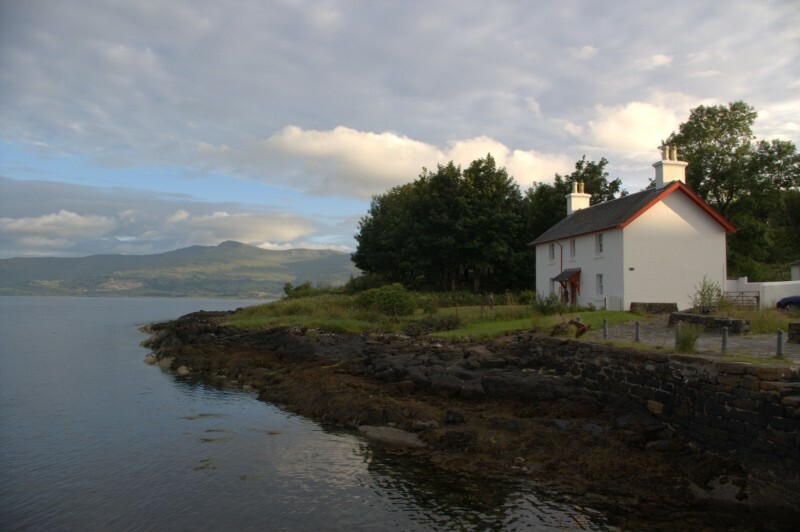 Still a home, it is well preserved and commands a most impressive location over looking Loch Linnhe and the Sound of Mull. After a generally good day, we had pouring rain as we left and returned to the ferry back to Lochaline (the cottage being next to the ferry 'terminal' made trips to Mull a doddle to return from. 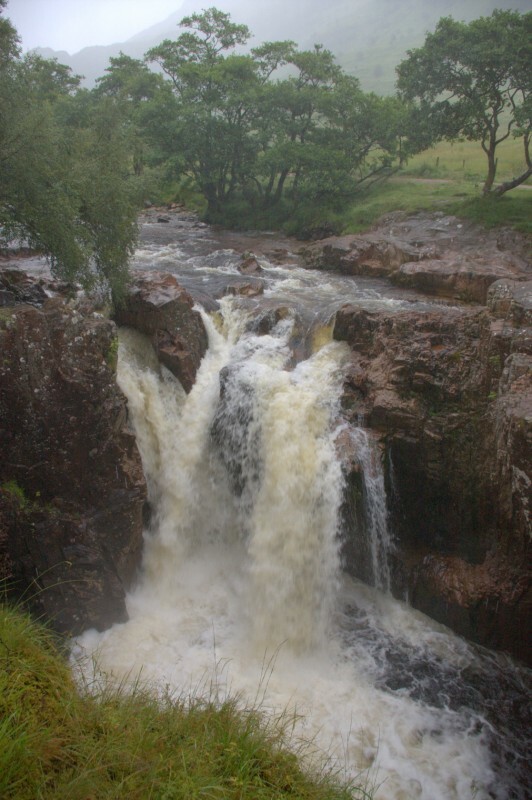 Fri: Back to Fort William, in the hope of climbing Ben Nevis, but it was cloudy again and when we started off for a stroll along Glen Nevis (valley at the foot of the Ben) it started to POUR with rain. After 30 minutes of so we turned back from our walk to the upper falls - It was just too wet and cold to continue on. Sat : Back along the narrow A-road to the Corran ferry and then through Glencoe and past Loch Lomond and back to Prestwick airport. Return flight was as easy as the flight up had been (except for an excess baggage charge from Ryanair) and our lift was waiting for us when we left Bournemouth's baggage claim 'hall' (shed) and we were drinking tea with my parents within 30 mins or so of landing. Overall, we'd driven a 1000 miles or so (on top of our flights) and it's fair to say that we were smitten with the Scottish landscape. At times it reminded me of some high mountain passes in Austria, but generally the mountain scenery was unlike anything we had seen before. 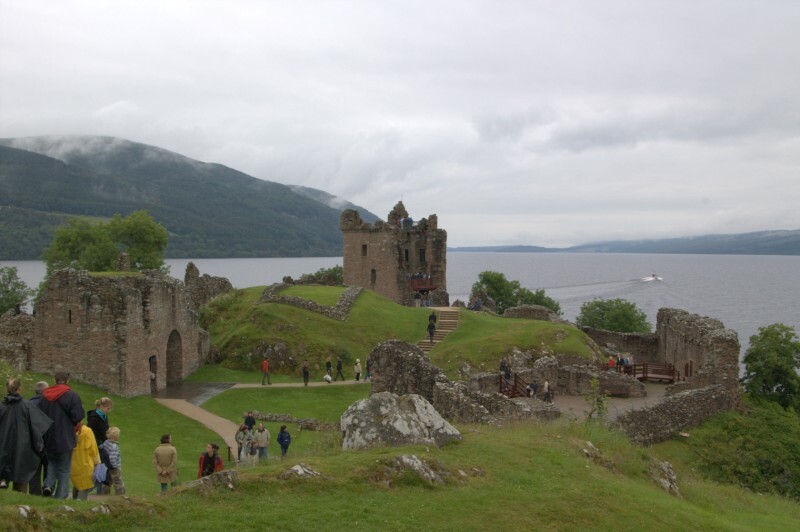 The close proximity of so many mountains with the lochs and sea was breathtakingly beautiful and the sheer quantity of scenery was impressive, with one amazing view following, and often surpassing, the other in quick succession. Add in the white sands and warm crystal seas on the beaches and you have a uniquely beautiful part of the world, even if the weather wasn't at its kindest during our visit (In fact, the stats suggest we were quite lucky with limited rainfall). 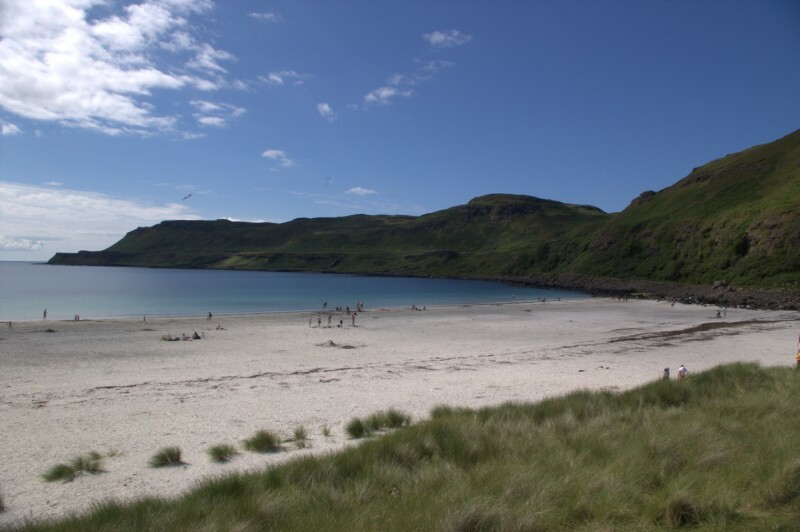 Scotland may seem on your doorstep, but it's like another, wonderful, world. Wherever you live in the world, consider a visit.